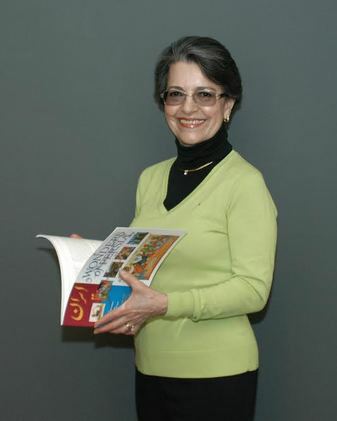 A native of Tehran, Iran, Nazli first came to the U.S. as an exchange student with the American Field Service attending high school in Durham, N.C., and giving lectures to many groups about her country. She later came back to the U.S. and has lived in N.J. and California since 1977. Nazli’s parents went to American schools in Iran and taught her English, making it the third language spoken in their household. Education and the arts were an important part of her family life. Nazli began to write her book, "Wonders of Persia," in the late 90’s to show the beautiful side of Iran that she grew up knowing. It was published in 2001 by Aarrow Publications. While Director of Business Development at the International Children’s Art Museum in San Francisco, she organized an art exhibit and competition for Iranian children and called it "Wonders of Persia." She later incorporated many of the children’s beautiful paintings as illustrations in her book. Nazli moved to Rossmoor in 2010 after living in Orinda for 25 years. She worked primarily in international banking with UBS in Geneva, Bank of America in New York and Wells Fargo Bank in San Francisco. For more information and to obtain her book, "Wonders of Persia," contact Nazli by email (monahan.nazli@gmail.com) or telephone (925-938-3939).